This Up Yours finger flip off stein tankard style mug with a wide base and narrow top. 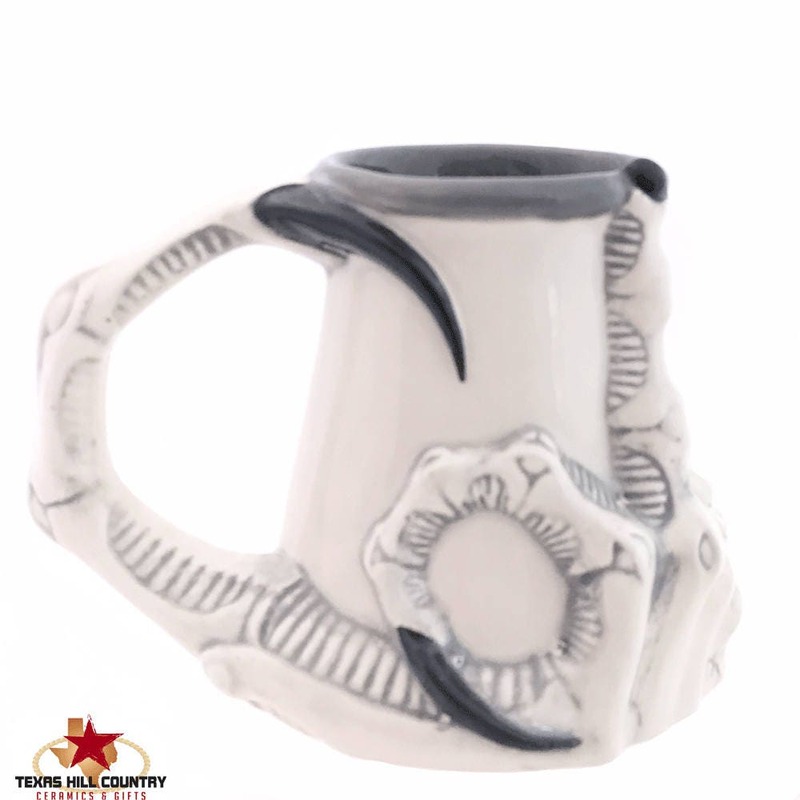 The tankard mug has a dragon demon hand with the middle finger extended conveying the message of 'Up Yours', the hand forms the handle which is a great creep factor. 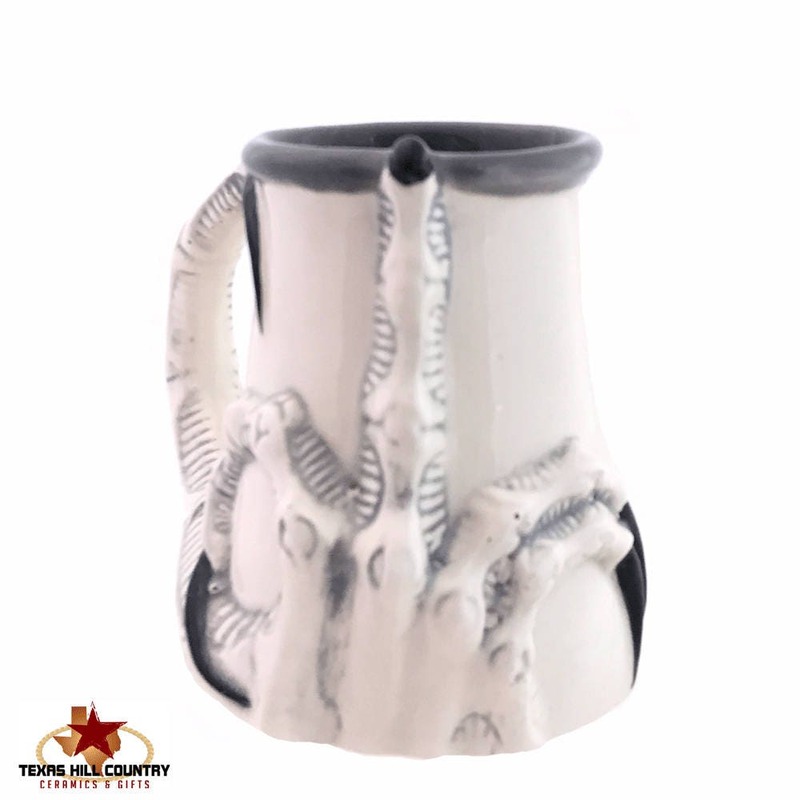 This middle finger mug is a great size, it is made of ceramic pottery and designed for everyday use or it can be added to your collection of fine mugs. 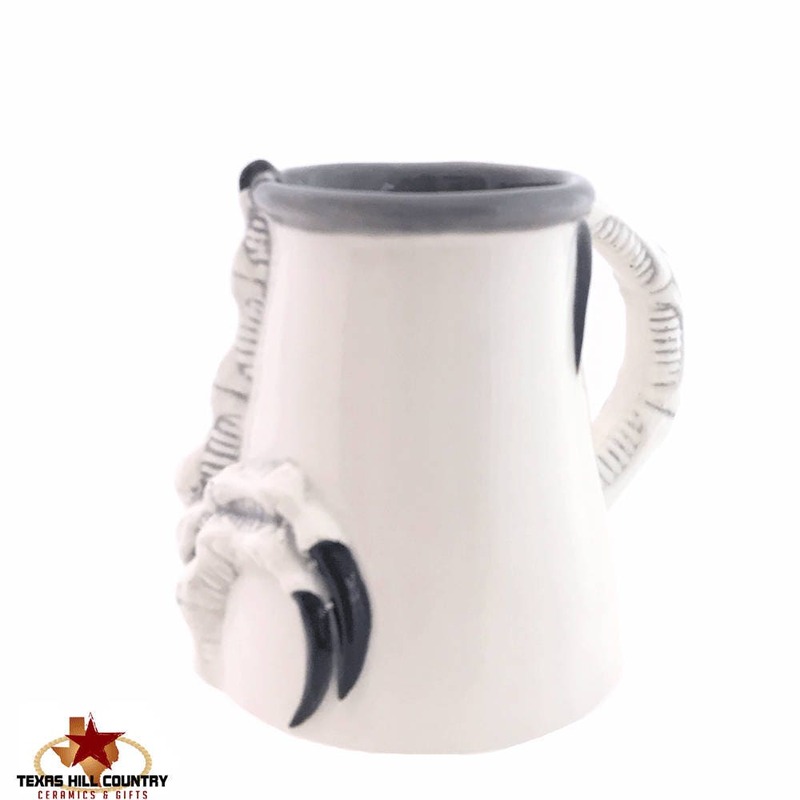 This tankard mug is made for fun, the claw hand a highly detailed and makes a statement. 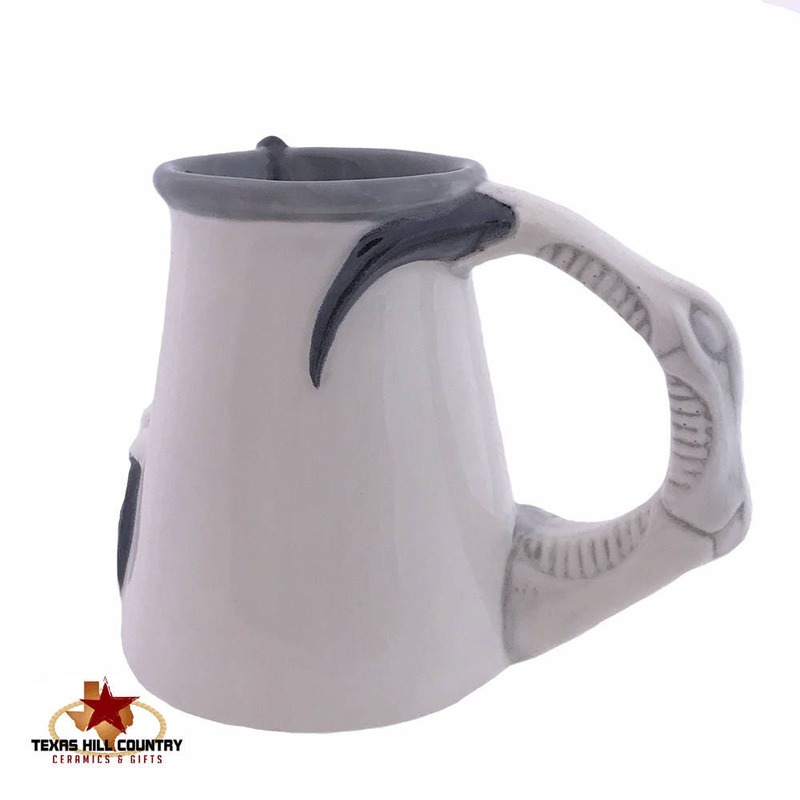 This tankard mug is made to be used for your favorite brew, whether it is hot or cold. It is dishwasher safe and all glaze used is lead free. This mug is made of kiln fired domestic ceramic clay and finished with lead free glaze. This mug is made in its entirety in my shop located in central Texas. The handle of this mug is cast solid too, this helps keep the mug bacteria free - hollow handles in a mug should be avoided for health reasons. All materials used are from the USA.